China Machinery Engineering Corporation Job Circular 2019 has been published by their authority in daily online job portal and to get from the best jobs and the education portal website in BD Jobs Careers- www.bdjobscareers.com. 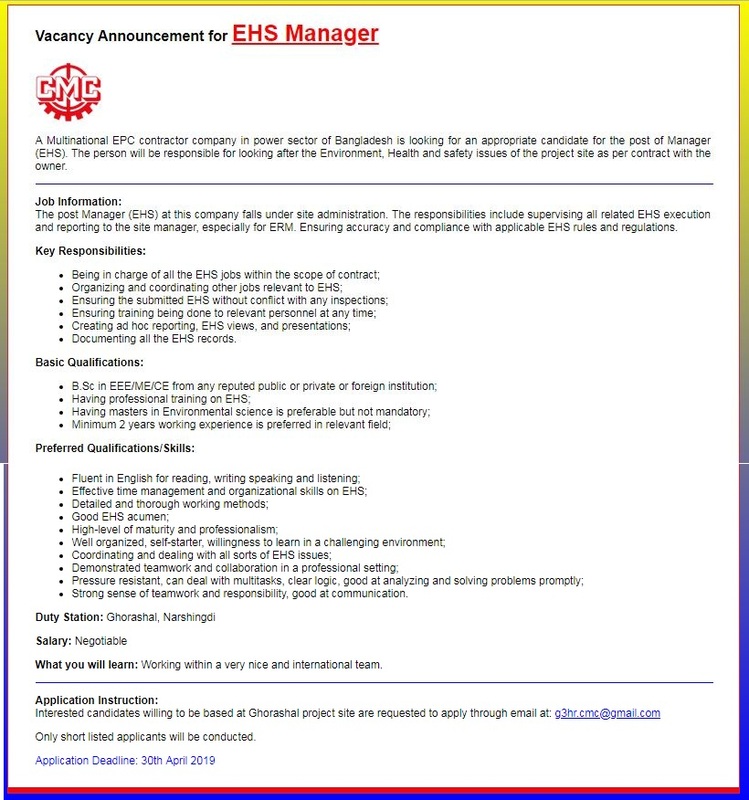 For the user understanding, we would like to inform you that, A Multinational EPC contractor company in power sector of Bangladesh is looking for an appropriate candidate for the post of Manager (EHS). The person will be responsible for looking after the Environment, Health and safety issues of the project site as per contract with the owner.